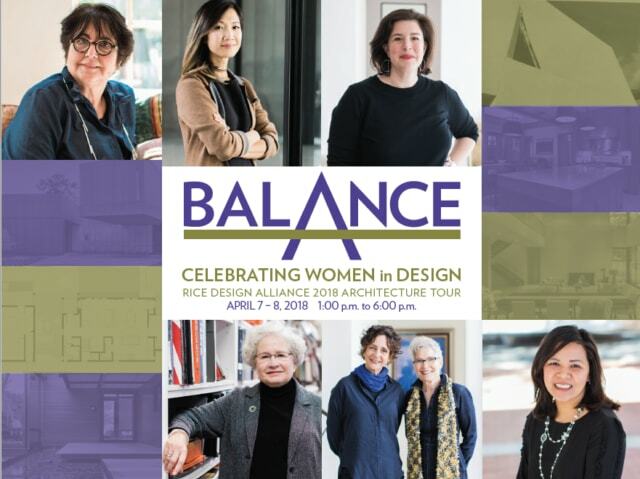 Chaired by Rice Architecture graduates Jacki Craig Schafer, ’08, and Christopher White, ’08, this citywide tour takes place on April 7-8, 2018 from 1- 6 p.m. This even celebrates seven women whose efforts on six projects demonstrate their leadership and indefatigable commitment to a better Houston. The strengths of their stories will unfold over the next several weeks as these practitioners share their personal and professional journeys, perspectives on practicing amidst complexities, discuss issues such as gender equity, diversity and leadership and what changes and challenges lie ahead.